After nearly thirty years at the Iowa State Fairgrounds, our Discovery Garden was in need of renovation. 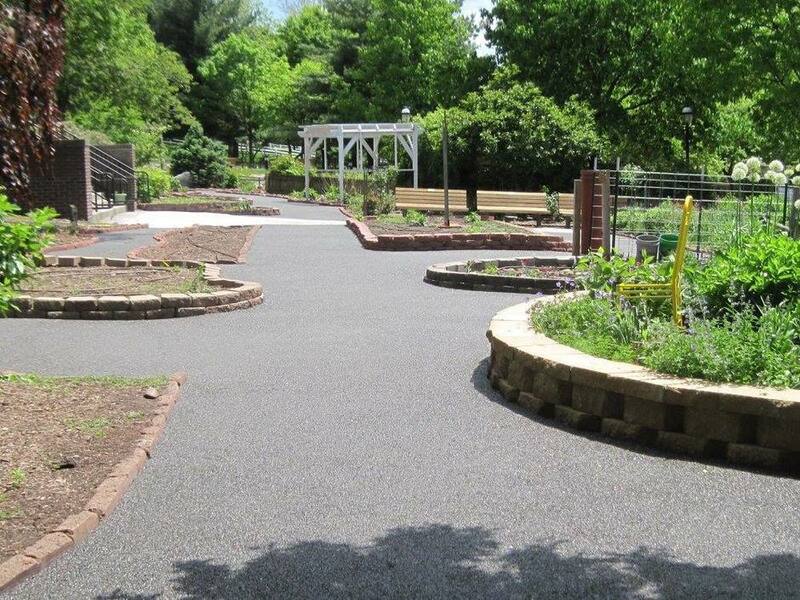 Our proudest accomplishment is a hardscape pathway which provides easier and safer access to those with disabilities and assists in nutrient load reductions to water resources. Other renovation phases include: a Gazebo and Shade Structure upgrade; hardscape edging around our Perennial bed garden; educational signage, along with project funding partners and donor signage, placed on-site and new perimeter fencing.An urban conservation project continues where we introduced rain garden plant materials, which further reduce our nutrient load and runoff, in our Native Perennial garden bed. The significance and value of this Renovation Project is the unique opportunity to educate tens of thousands of people on new ways to manage rainfall, reduce runoff and pollutant delivery to receiving waters with permeable pavement and how the home gardener may adopt this practice.The pathway materials offer an opportunity to educate the home gardener on how to use recyclable and plant based materials for their pathways.These education opportunities, along with promoting rain garden plants and plantings which increase pollinators in our garden beds, will be featured through our Discover Garden Series.Our website www.discoverygardenpcmg.org highlights and defines our Renovation Project, promotes the benefits of a permeable pathway for the home gardener, recognizes our Certified Master Gardener volunteers, project funding partners and donors. 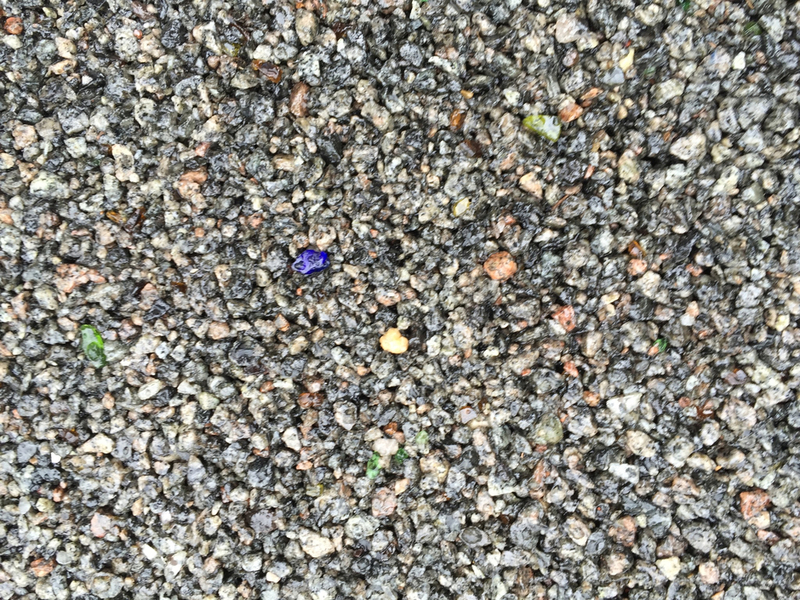 Pervious paving allows water to infiltrate into layers of crushed stone below the paving and then into the soil and groundwater below. 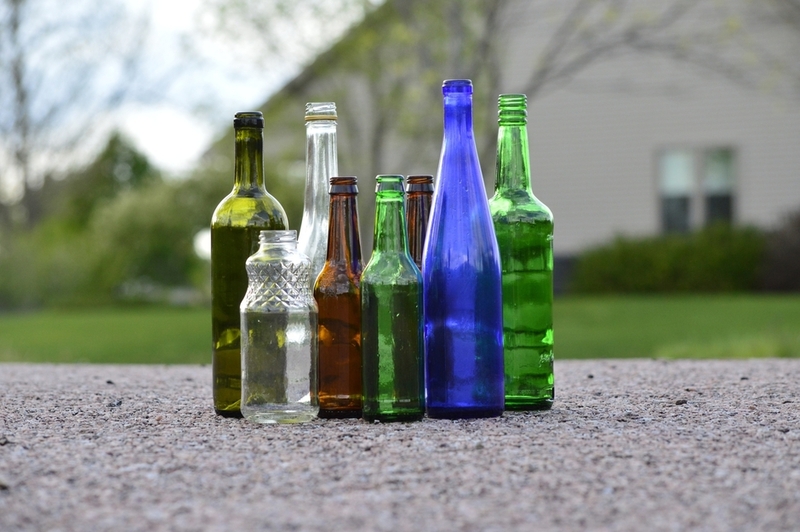 By infiltrating most of the storm water on-site, the amount of water and pollution flowing into storm sewers and directly to rivers and streams is greatly reduced. 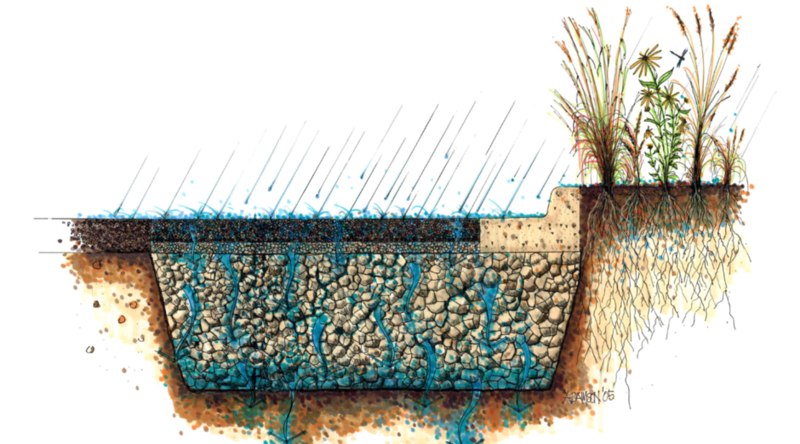 This, in turn, protects water quality, maintains more stable base flows to streams, reduces flood peaks and reduces stream bank erosion. With infiltration, groundwater is recharged and streams are replenished with cool, clean groundwater in a more natural way. The environmentally friendly pervious paving in our pathway allows rainwater infiltration onto stable and firmly fixed surfaces.Rainwater is absorbed quickly and can seep directly into the ground or be redirected into a drainage facility (e.g. canal, retention basin, or rain water storage vessel).It also absorbs hydrocarbons such as engine and gear oil and fuel residues. The risk of freeze-thaw damage and the need to repair cracks and replace wear is greatly reduced when compared to conventional pavements. Our Native Perennial garden bed features rain garden plant materials which further reduce our nutrient load and runoff.Many native plants work best in a rain garden and seedlings are easier to establish than direct-sown seed so you don't have to worry about the seed washing away. For that reason, native plant plugs work better than seeds. The Discovery Garden used native grasses and sedges in the Native Perennial bed garden because those plants possess extremely deep root systems. In addition to rain garden plant materials, you will see attractive plantings throughout the Discovery Garden which promote and increase pollinators and beneficial insects in our garden beds.The beneficial insects also known as the “good bugs” perform valued services like pollination and pest control.To attract the “good bugs” you may want to plant a row or border of fennel, calendula, coriander, dill, and cosmos which are all considered good plants for attracting beneficial insects. The Discovery Garden at the Iowa State Fairgrounds’ Renovation Project would not be possible without these generous contributors. Project funders and donors will be recognized on permanent, on-site signage at the Discovery Garden, as well as, on the Discovery Garden’s website and Facebook page.Thanks to the generosity of these individuals, companies, corporations, organizations and foundations for making the Discovery Garden Pathway to the Future a Success! Thank you! Association of Iowa Fairs, Inc.